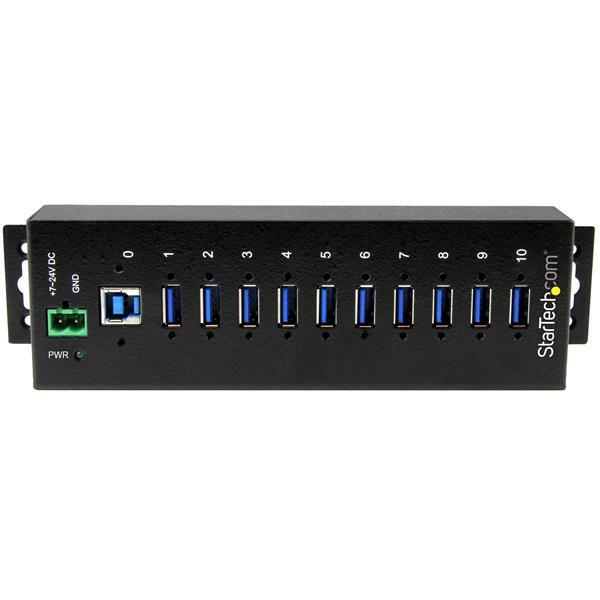 This TAA compliant 10-port USB 3.0 hub gives you the scalability you need in harsh industrial environments. It’s designed to meet the advanced requirements of connecting a high number of devices in factory and industrial settings. With a metal housing, you can depend on this industrial hub even in tough operating conditions. And because it offers more ports than most USB 3.0 hubs, you can access more devices at once, so you can work more efficiently and save time. 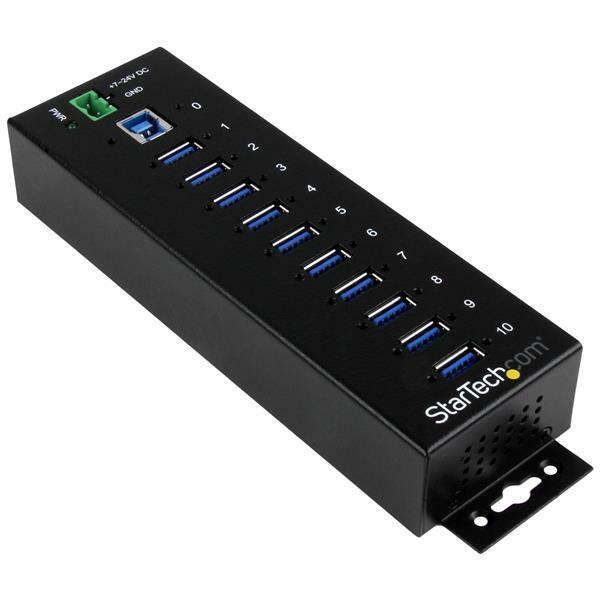 Designed for a high volume of connections in industrial environments, this robust USB 3.0 hub offers ten connection ports, unlike most four or seven-port USB 3.0 (also known as USB 3.1 Gen 1) hubs. With more ports, you can connect more devices, such as USB-based control equipment, external storage, and more. Plus, you can avoid the aggravation of connecting and disconnecting devices when all ports are occupied. This industrial USB hub delivers reliable performance with a metal, heavy-duty housing. And because it supports wide-range 7-24V DC terminal block input, you have the flexibility to power the hub as required, based on your own power input capabilities. Perfect for factory environments, the rugged hub also supports an extended operating temperature range (0°C to 70°C) and offers surge and ESD protection to each USB port, which can help prevent damage to your connected devices. With versatile installation options, you can install the hub where it’s best suited for your environment. 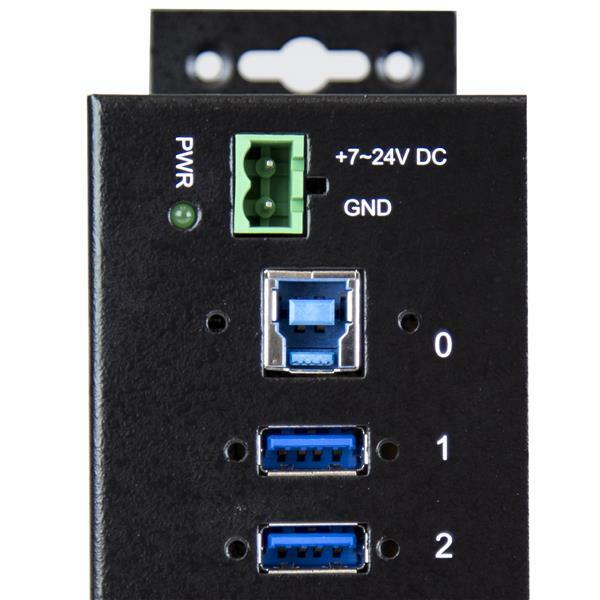 You can securely mount the USB 3.0 hub to a surface, wall, or under a desk, and, it includes optional DIN rail mounts for use with equipment rack installations. The industrial hub supports the full 5Gbps bandwidth of USB 3.0 and is also backward compatible with previous USB devices. You can connect your legacy USB 2.0 and 1.x peripherals alongside your newer USB 3.0 devices without any disruptions. 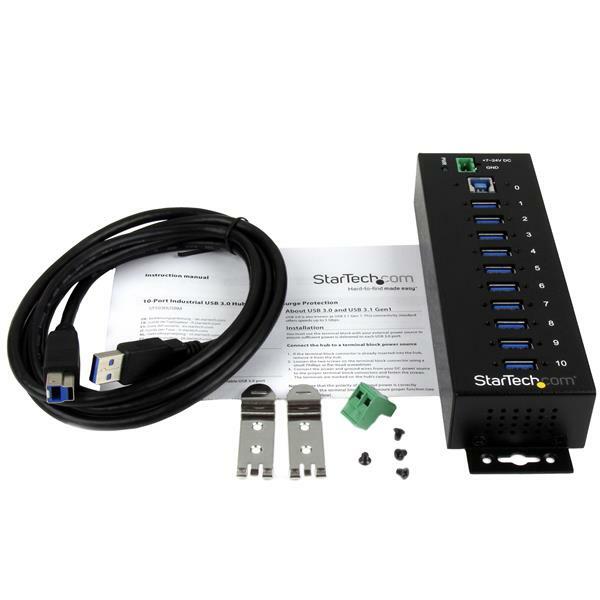 The ST1030USBM is backed by a StarTech.com 2-year warranty and free lifetime technical support.